If you’re looking for high quality and personal service, you’ve come to the right place. At Discount Helium of Dallas, we’ll give you the attention and personal service that you deserve. Discount Helium of Dallas has been supplying industrial gas, helium and balloons to the Dallas/Fort Worth area and North Texas region since 1994. Let us put our expert experience and knowledge to work for you. BUY LOCAL. Call 972-279-0086 today to set up your account. We offer the best value and service for helium, co2, nitrogen, beer gas, laser gas and more. 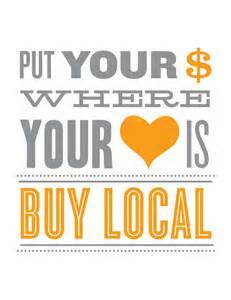 We are a locally owned and managed business. Our employees are friendly and will be there to help you every step of the way. See our Facebook feed below. It will list any holiday closures. Why buy from Discount Helium of Dallas? ​→ Get all your supplies in one easy delivery...helium, ribbon and balloons. Saves freight costs too! → We can service any size account. No account is too big or too small. → Our helium is sourced from multiple suppliers to provide a reliable supply stream. → We have multiple tank sizes available to meet your unique needs and circumstances. → Six Packs are available. Have and account and need to reorder helium? Click here to place an order. Does your company used custom printed products? Brand The World is our local company that specializes in custom promotional products. Visit www.brandtheworld.com to learn more. Need to reserve and tank to pick up for your event. Click here to make a reservation. We have 2 options for you. and fill all the balloons yourself.